I was extremely impressed with the speedy handling and receiving the cable in just two days from ordering. I will certainly think Cable Chick first in the future. Never be without a 1/4" Patch cable at your next performance with this handy 6-pack of right-angle plug cables! A pack of 6x patch cables for all your basic patch cable related shenanigans. There always seems to be that one person that's one patch cable short of a performance if you get what I'm saying. Don't let that one person be you! Each pack of patch cables contains six of your most favourite coloured patch cables including White, Black, Blue, Red, Yellow and of course my personal favourite... Grey! 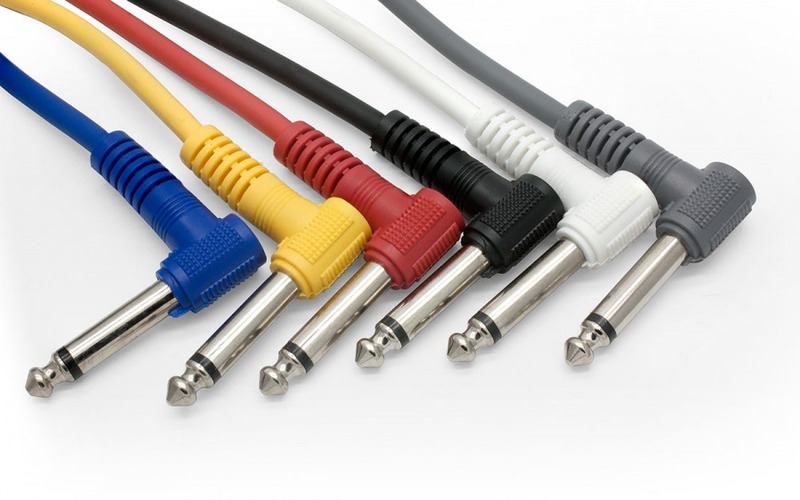 These 30cm leads with right-angle connectors (straight connectors also available) are perfect for a basic pedal setup or to have with you just in case of those patch related emergencies. We've all been there right?